In 2020, Adobe Flash Player will reach end-of-life. This means that Flash applications will no longer run on people’s computers after this date. Developing interesting, engaging and varied online multimedia resources is challenging, time consuming and often requires specialist expertise that most educators simply don’t have and often don’t have access to. Second and Foreign language learning in particular can be more effective and engaging when multimedia and interactive resources are used appropriately. The cost of providing such resources is usually either prohibitively expensive or the resources available are inappropriate for a particular individual or group of learners’ needs. This is why I’m developing software that specifically addresses these issues: to make developing engaging multimedia online language learning courses affordable and practical. A free word search generator application. Simply for testing that MILAs will function correctly on your learning management system. I don’t know of any studies that show any significant effect of using word searches, so not recommended for use with learners. For Moodle 1.9 only! Concept maps are similar to mind maps but allow learners greater freedom to draw and express their ideas. With this simple, easy to use application, learners can easily sketch, draw tables and venn diagrams, and add text. Learners can use this application to create concept maps, save them, and then use them as “learning artefacts” to facilitate discussions and “make sense” of their ideas (Social Constructionism). Write, complete or re-write sentences against a countdown clock. Supports Cambridge FCE keyword sentence transformations and has many other possible uses. Uses real time traffic light colour coded feedback system to guide spelling and is not case sensitive so that it doesn’t become a spelling/punctuation test. Look at the image, listen to the audio at normal speed and/or time stretched, then write the appropriate phrase or sentence. Uses real time traffic light colour coded feedback system to guide spelling and is not case sensitive so that it doesn’t become a spelling/punctuation test. A guided dictation activity. Listen to the audio at normal speed and/or time stretched. Listen to the entire audio, then listen as many times as is necessary in sections and write what you hear. Uses real time traffic light colour coded feedback system to guide spelling and is not case sensitive so that it doesn’t become a spelling/punctuation test. There are two versions, one for paragraphs/monologues, and another for dialogues with separated lines of text. Listen to the audio and select the corresponding image. 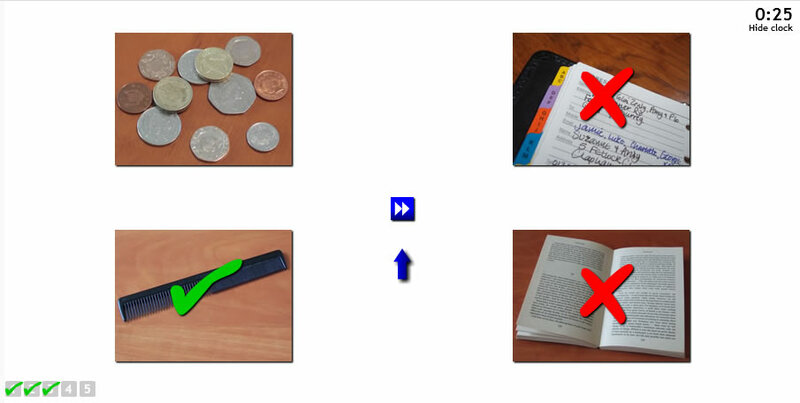 Often refered to as Total Physical Response (TPR) where learners demonstrate that they understand by responding to language through physical (non-linguistic) action, in this case clicking on the correct image. Images are always shuffled and placed randomly to ensure that all the items get used once and none are repeated. For phonemic awareness. Allows learners to listen to multiple examples of pronunciation of phonemes and their corresponding phonetic symbols. Also helpful for teacher professional development. Backwardly compatible with older operating systems that may not have IPA compatible fonts installed, e.g. Windows XP. A classic hangman game generator. 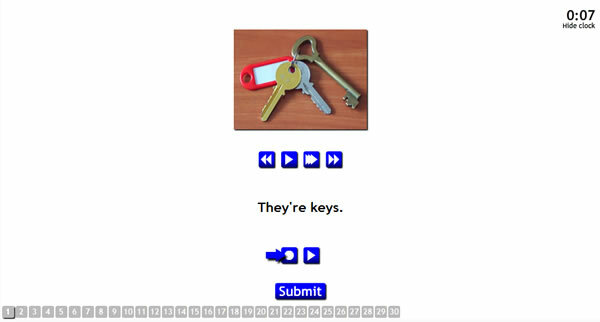 Displays the corresponding image and plays the audio at the end of each won or lost word, phrase, or sentence. A context based approach to pronunciation and phonemic awareness. Look at the accompanying image, listen to the example sound, word, phrase or sentence at normal speed and/or time stretched, and then repeat it into your microphone. The application records your voice and plays it back to you for comparison with the example. Generates c-tests from paragraphs of text. Also has the option to allow learners to copy and paste paragraphs of text that they’ve chosen to generate their own tests for immediate, adaptable self testing. Uses real time traffic light colour coded feedback system to guide spelling and is not case sensitive so that it doesn’t become a spelling/punctuation test.The C-test was developed in the 1980s at the Universität Duisburg-Essen in Germany – based on theories of language redundancy relating to Gestalt theory. The Simtest, developed by the Universitat Autònoma de Barcelona (UAB) in Catalonia, Spain, uses c-tests extensively. For Moodle 1.9 only! The quickest and easiest way for learners and teachers to create an avatar photo for themselves using their webcam. 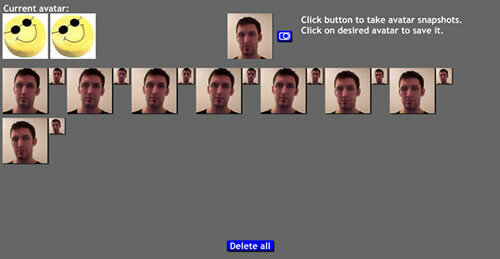 Automatically replaces users’ avatar pictures in Moodle at the click of a mouse. An essential first step in creating online communities of inquiry to facilitate social, communicative learning.Why are communities of inquiry important for successful online study? More Multimedia Interactive Learning Apps (MILAs) to come. What can MILAs do for my learners and teachers? Some of the MILAs are software that automatically generate learning interactions from data and media files fed into them called MILA learning content cartridges. 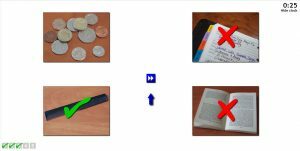 These cartridges contain all the language (text), images and audio necessary to generate learning interactions around particular themes or areas of language. MILAs and learning content cartidges can be “mixed and matched” to generate exactly what learners require. 4 MILAs x 3 cartridges = 12 learning interactions. Or in other words, the theme or language area of each MILA learning content cartridge can be recycled four times. There are currently 6 MILAs that use the same learning content cartridge type interchangeably so cartridges can be recycled up to 6 times, or better still, different cartridges can be recycled in different ways so that activities don’t become too repetitive. Additionally, MILA learning content cartridges are open format and so anyone with a little basic knowledge of XML and some free editing software can edit and create their own cartridges. Traditionally, Flash is a widely used technology for adding graphics, animation, audio, video and animation on web pages. Nowadays, it is a fully functioning software development platform. Popular sites that use Flash extensively are Youtube, Vimeo, Google Street View, Facebook, web conferencing services, and a multitude of games sites. It is also the de facto multimedia and interactivity platform for elearning. Flash is not only for web pages. Flash’s native programming language, Actionscript, is comprehensive, flexible and powerful, and can be compiled to create applications (apps) for multiple platforms including Windows, Apple Mac, Linux, Android, iPhone, iPad, iPod and a multitude of TVs media players and other devices. This means I can write an application or series of apps once and simply cross-compile them to whichever platforms are appropriate. And yes, Flash does run on Apple’s iPhones, iPads and iPods. Some of the most successful games for Apple’s iOS were developed in Flash.